Dr. Maina Singh has lectured widely at international institutions including Oxford, Cambridge, Yale, Cornell, Michigan, Indiana, Brandeis, and at the Library of Congress. She was Scholar-in-Residence, Haddasah-Brandeis Institute (2008); Fellow at Schusterman Center for Israel Studies, Brandeis University (2009) and has been Scholar-in-Residence, American University, since 2009. 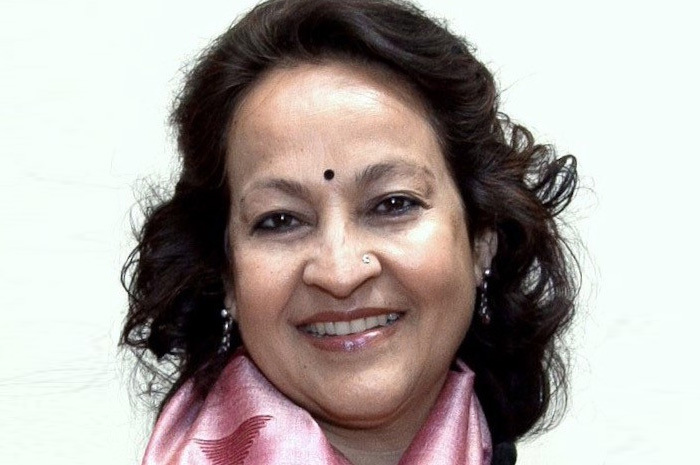 Dr. Singh has lived in Russia, Ethiopia, Japan, and Israel, and her cross-cultural experiences inspire a strong interest in Identity and Diaspora communities. Current research projects include: the role of Indian Americans in US politics and the Migration Narratives of Indian-Jewish (born in India and now living in Israel). In Washington DC, Dr. Singh has engaged actively with Georgetown and American Universities lecturing and organizing campus events on Contemporary India, Indian Diaspora communities, Indian Jews and India-Israel Relations. Victor Menezes is a Senior Advisor with New Silk Route Partners LLC, an international private equity firm. He was formerly Senior Vice Chairman of Citigroup Inc., and after a 32-year global career in the company, retired in January 2005. 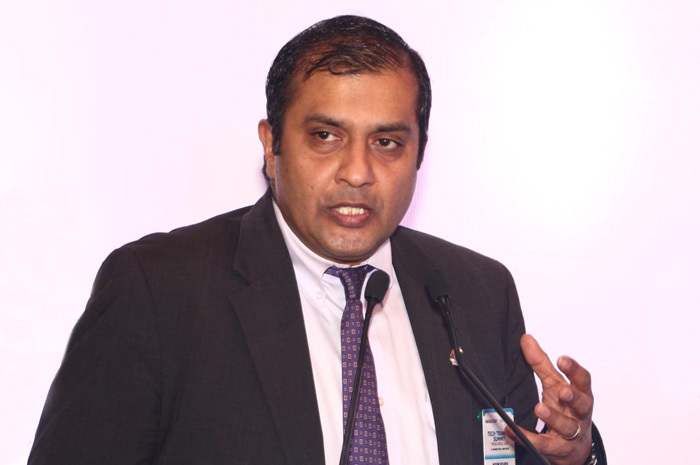 Previously, Mr. Menezes served as Chairman and CEO of Citibank and was head of Citigroup's Emerging Markets business with responsibility for the corporate and consumer businesses and global product responsibility for e-Business and Global Securities Services. In 1995 he was named Chief Financial Officer of Citicorp and Citibank, and, in 1998 when Citigroup Inc. was formed by the merger of Citicorp and Travelers Group Inc., he became President of Citibank and co-CEO of the Global Corporate & Investment Bank. Previously, he headed Citibank's businesses and lived in India, Hong Kong/China, and Europe. 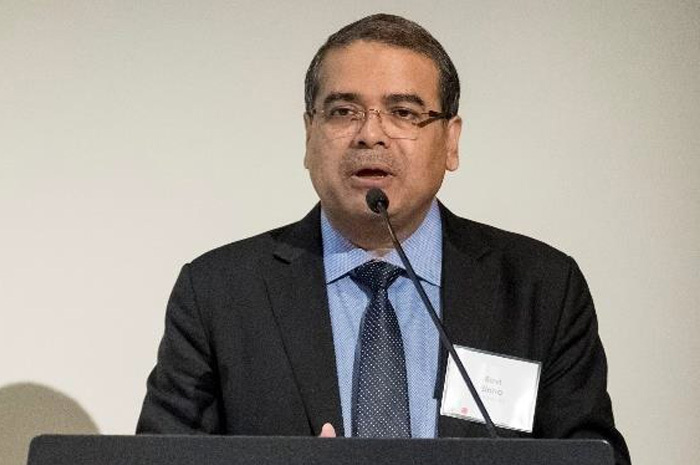 Mr. Menezes Chairs the American India Foundation, is a Vice Chairman of Catholic Charities and Co-chairs the Trustees Emeriti of the Asia Society. 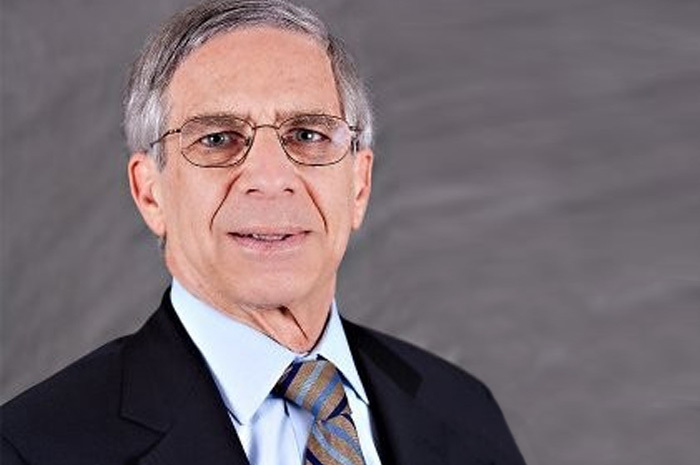 He is a board member of Educational Testing Service, the MIT Corporation and the Eisenhower Fellowships and is on the advisory boards of IIT, MIT Sloan and INSEAD. Mr. Menezes received his degree in electrical engineering from the Indian Institute of Technology Bombay in 1970 and a Master of Science degree in finance and economics from the Sloan School of the Massachusetts Institute of Technology in 1972. 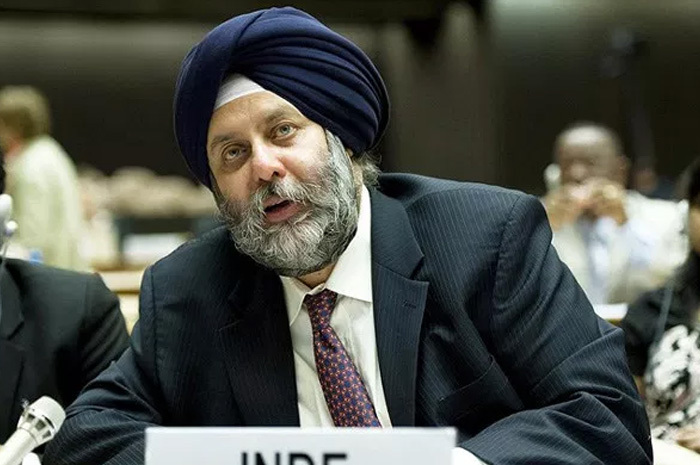 Ambassador Manjeev Singh Puri is India’s Deputy Permanent Representative to the United Nations. Prior to taking over his present assignment in New York, Ambassador Puri was Joint Secretary (United Nations – Economic & Social) in the Ministry of External Affairs from March 2005 to March 2009. His charge included dealing with UN and multilateral bodies involved with economic and social issues, including in the areas of development, finance, human rights, migration, humanitarian affairs and UNESCO related matters. Ambassador Puri was also closely involved with the Sherpa negotiations of the G8/G5 Summits from 2005 onwards and other major international fora of which India was a member, including ASEM, IBSA etc. A key element of Ambassador Puri’s charge in New Delhi was climate change and he has been very closely involved with the negotiations on climate change in the context of the G8/G5 Summits and at the UNFCCC. Ambassador Puri was also the coordinator of India’s participation in the Major Economies Meeting and served on the Executive Board of the Asia-Pacific Partnership on Clean Development and Climate. Ambassador Puri has also been actively involved with other issues relating to sustainable development and environment, including International Environmental Governance. He has been a member of the Indian delegation for the meetings of Commission of Sustainable Development since 2005 and has actively participated in UNEP’s meetings of Environment Ministers. Ambassador Puri is a member of the Indian Foreign Service having joined the service in 1982. In the course of his Foreign Service career, Ambassador Puri has served twice in Germany and speaks German. He also established the Indian Cultural Centre in Berlin. Ambassador Puri is on the Advisory Board of TERI (The Energy and Resources Institute, New Delhi). He was on the Steering Committee for the Delhi Sustainable Development Summit held in February 2009. Ambassador Puri has an MBA degree and had worked for Hindustan Unilever before joining Government. He did his BA (Honors) in Economics from St. Stephen’s College, Delhi University, with top honors. Nissim B. Reuben currently works as a Program Director: Indian-Jewish American Relations, American Jewish Committee (AJC) in Washington, DC. Drawing on his unique personal background of being both Indian and Jewish and as part of his professional commitment and personal passion, Nissim travels around the country on behalf of AJC networking Indian and Jewish American students, community leaders, artists, doctors and business professionals. He has helped to coordinate two historic AJC co-sponsored India-Israel-US friendship receptions on Capitol Hill in July 2003 and November 2007 besides helping the Embassy of India celebrate Indian-Jewish style Hanukkah receptions at the Indian Ambassador's residence since 2002. The Israeli Ambassador, Senators, Representatives & over 400 guests attend the reception that showcased the historic ties between India & the Jewish people. He regularly speaks on US university campuses on the importance of Indian-Jewish American partnerships to promote India-Israel-US relations. Recently, he led an AJC-Project Interchange Mission to Israel for Indian-American Deans, Provosts & Think-Tank leaders. Every year since 2004, Nissim has arranged for American Jewish leaders to meet with the Indian Prime Minister / Foreign Minister / Foreign Secretary. He is also an Honorary Faculty Fellow at the Office of the Dean, School of International Service, American University, Washington, D.C., U.S.A. He advises the Dean, Faculty Members & Students on outreach to India & the Indian-American Jewish community. In India, he worked as a Trade Promotion Specialist for the British and Israeli Diplomatic Missions. In Jan/Feb, 2001, he played a vital role in the success of the 300 members Israel Defense Forces Field Hospital Mission sent to Bhuj, Gujarat State, India in the aftermath of the devastating earthquake. He has an MA in International Affairs from American University and an MA in Economics from India. He is fluent in English, Hebrew, Hindi, Gujarati & Marathi. Mr. Weiner has authored the articles "Owner Capital" and "Owner Compensation" for the AICPA's Management of An Accounting Practice Handbook for 1999, 2000 and 2001. He also co-authored "Coping with Tax Reform," for the AIPCA Management of the Accounting Practice Committee and is a past editor of The CPA Journal. He earned a BSBA from Babson College and attended both New York University Graduate School of Business and Harvard Business School. He has also been a Wexner Fellow.